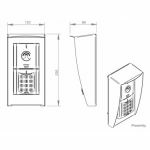 The SALTO Mifare WRM9001EK Wall Reader & Keypad With External All-Weather Housing is a wall reader which includes a PIN Key Pad specially designed for outdoor installation on uneven surfaces. 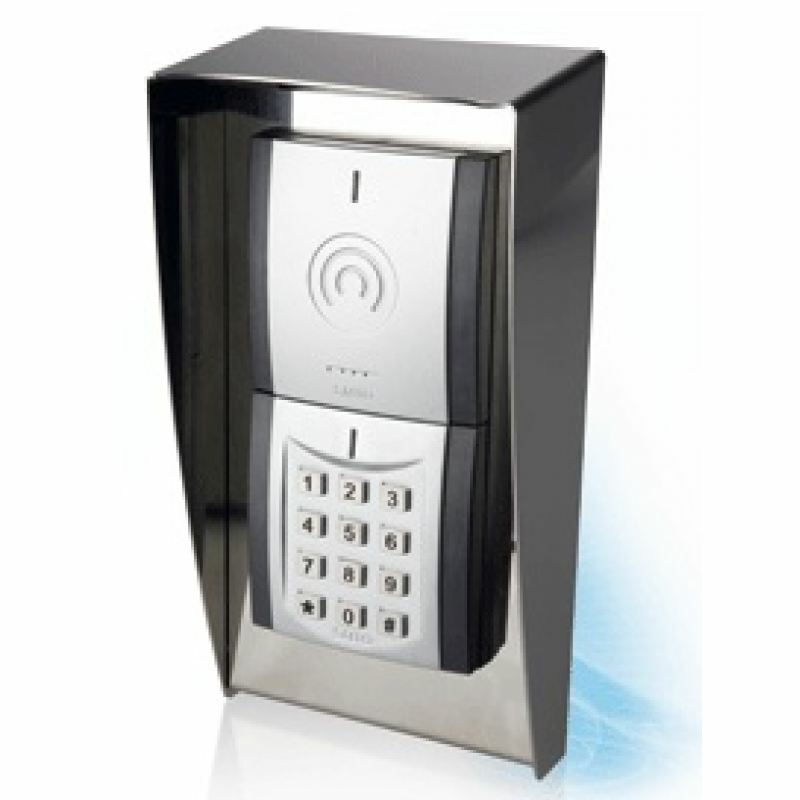 The keypad gives extra security as double ID is required to gain access to the door. 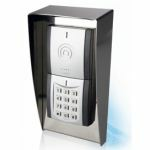 The wall reader readers information from the carrier and then communicates that data to the door controller. Additionally, it lets you update carriers through the SALTO Virtual Network. 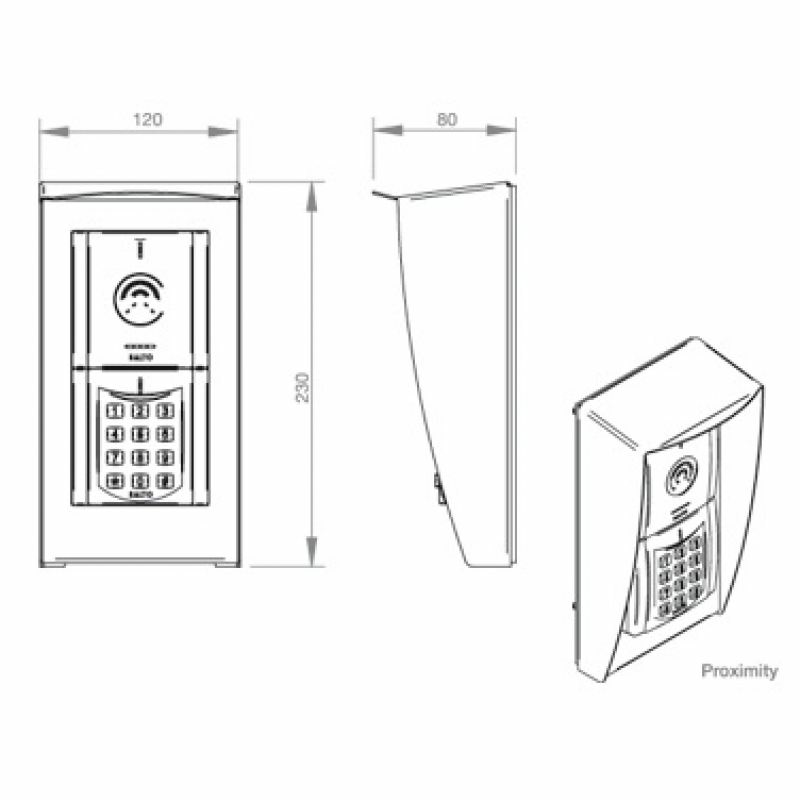 The reader is compliant to IP46 and has a built-in external case which is stainless still allowing it to be perfect for indoor and outdoor use, including environments which are vulnerable to harsh weather conditions. External case made of stainless steel. Dimensions: 120mm x 230mm x 80mm (W x H x D). Connection to the door controller using UTP CAT5 cable. The maximum cable length between the door controller and the wall reader is up to 100mtrs*, with a twisted pair cable.